Food Costs > How Much Does Garlic Cost? How Much Does Garlic Cost? Garlic is one of the several ways to add flavoring to your food. Garlic is part of the onion family and has been used in both culinary arts and for medical purposes as well. It has a strong flavor which is characterized by its pungent and spicy flavor that mellows and sweetens as it cooks. Garlic is also popularly used for medicinal purposes and is believed to help prevent heart disease as well as cancer. It has been observed that countries that use garlic in cooking have lower cancer rates. Single garlic cloves sold at the grocery store can be purchased for as little as $0.25 to $1 per clove. At local farmer markets, farmers often sell for about $2 to $8 per 1/4 pound, depending on the variety. One member on Gardenweb.com charged $8 per pound, while another sold hers for $0.50 for a small piece. Minced garlic can cost about $5 to $8 per 16-ounce container. For example, Walmart’s Great Value brand retails for about $6. Fresh garlic bulbs can cost up to $12 per pound at local farmer markets. Garlic is also available in powdered form. This is perfect for making last second adjustments if you feel that the food is lacking that extra garlic flavor. Garlic powder can cost $1 to $3 for a three-ounce container. Profitableplantsdigest.com notes some gourmet garlic can cost up to $16 per pound. It also notes some varieties such as Rocambole and Purple Stripe are hard to find. Common garlic types found on the market includes artichoke, turban, porcelain, purple stripe, rocambole, silverskin and asiatic. On the market, there are close to 100 varieties, and like a fine wine, each one will have its own flavor, taste and use. Some can be consumed raw, while others are designed to be roasted. The smaller you cut garlic into pieces, the stronger the flavor is going to be. It’s best to chop the garlic finely to ensure that the flavor is strong. Once green sprouts begin to show on garlic, it can be a sign of bitterness. While you can still eat the garlic, the taste will be different. If you’re thinking about purchasing garlic powder to substitute the clove, know that one-eighth of a teaspoon equal about one small garlic clove. As for minced garlic, one-half teaspoon will equal one clove. Most popular garlic types come from across the world and do well in just about any climate as long as it has well-drained loamy soil. The top five garlic producing countries in 2015 were China, India, Korea, Egypt and Russia. Studies have found garlic may reduce a cold by half or even lower your blood sugar. 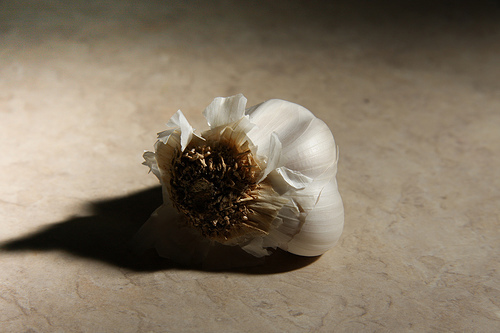 The National Cancer Institute even noted garlic could reduce the risk of cancer. Check local farmer’s markets with garlic is in season. This is a great way to get a great deal on fresh garlic that was homegrown. Consider having your own little garden where you can grow the garlic itself. It isn’t as hard as you think. Gardeningknowhow.com shows you how to grow garlic from seed. At local markets, the more you purchase, the more you should be able to save since many locals tend to offer bulk discounts.